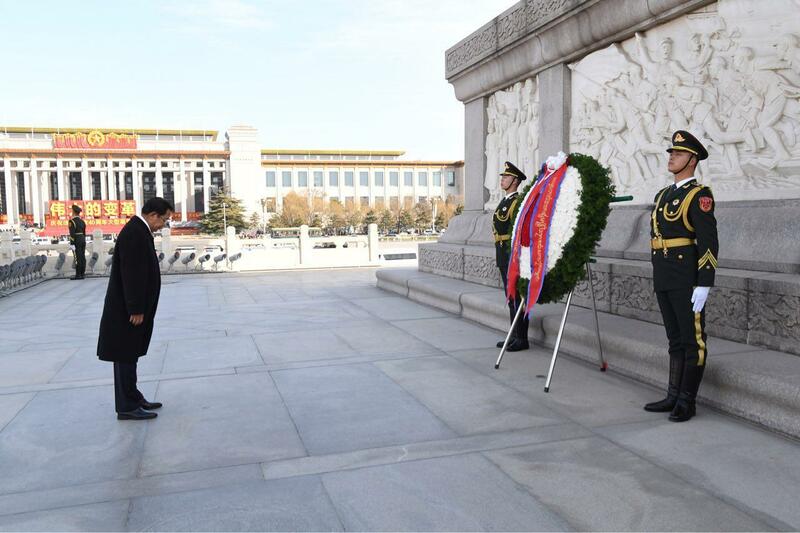 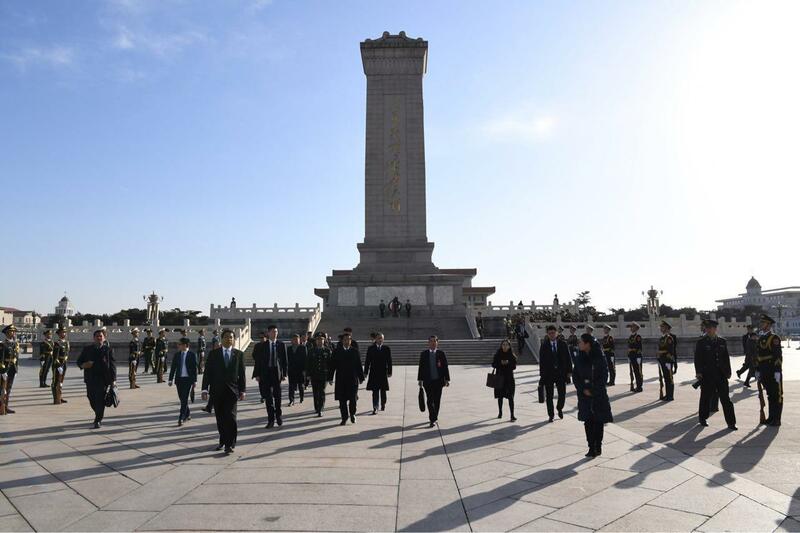 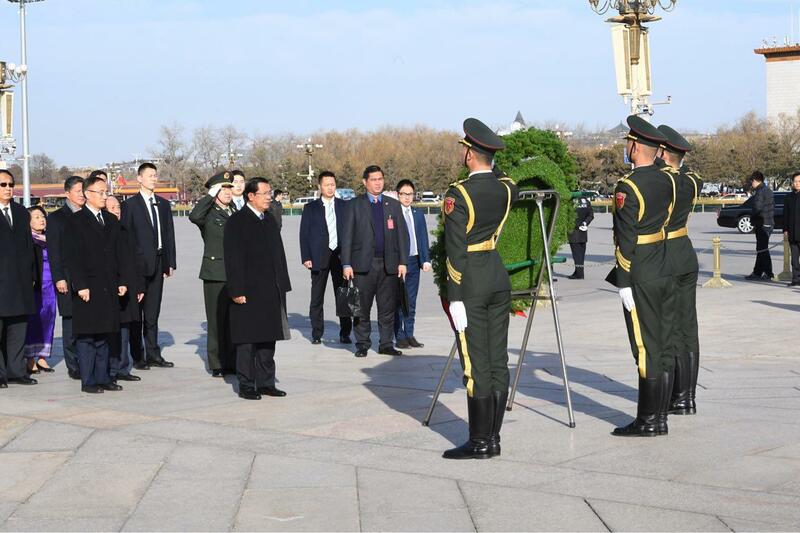 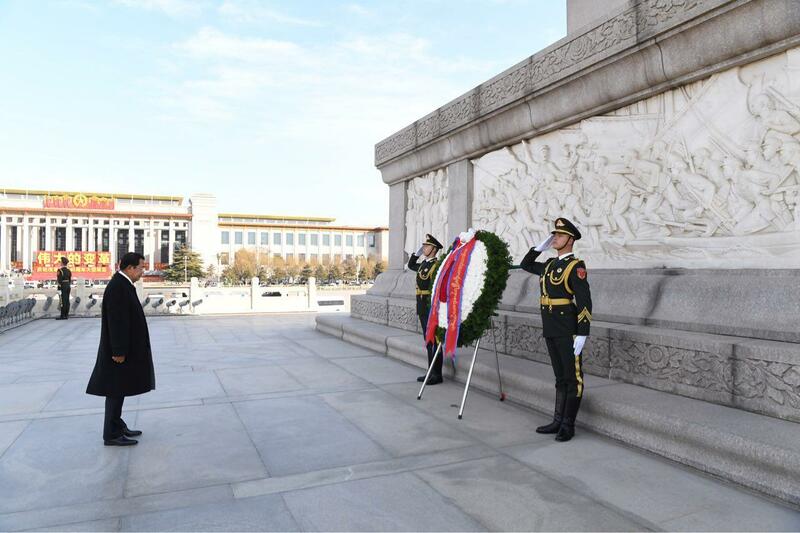 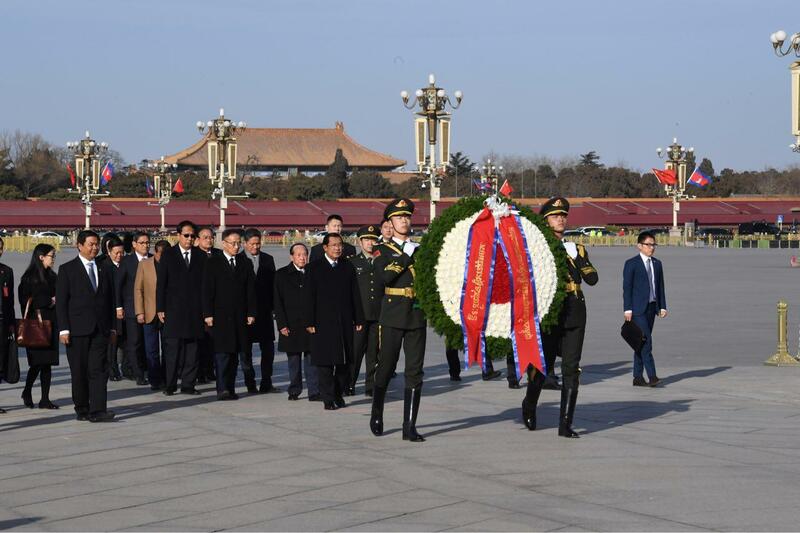 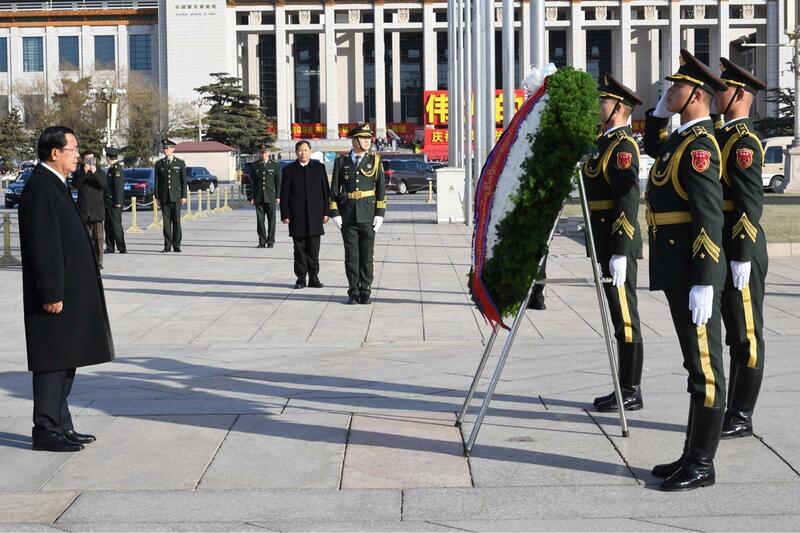 Beijing, China (FN), Jan. 23 - On the afternoon of 22 January 2019, Prime Minister Hun Sen and senior delegation of the Royal Government of Cambodia paid respect and laid wreath at the Chinese Monument to the People's Heroes - dedicated to Veterans of Chinese wars 1842–1949 - located in the southern part of Tiananmen Square in Beijing. 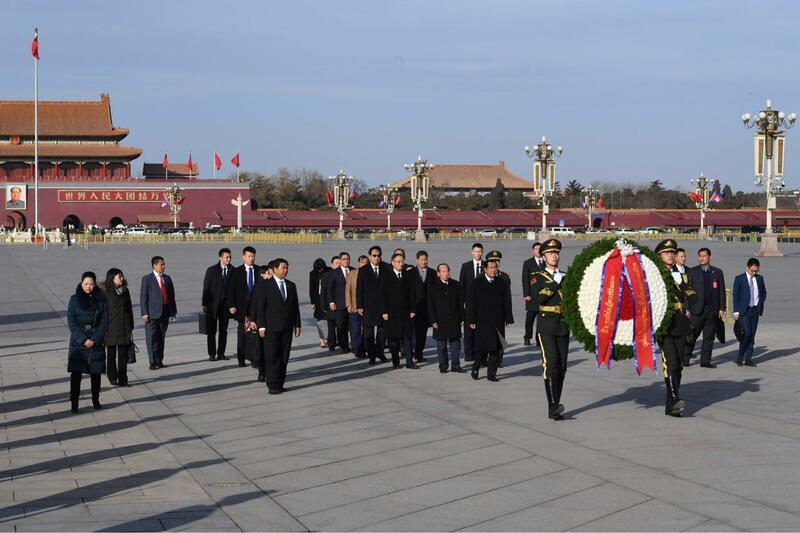 Prime Minister and senior government delegation mourned deeply in respect to the heroic warriors, People's Liberation Army of China who sacrificed flesh and blood for the cause of territorial integrity, and the prevention of foreign invasions that led China to the world’s second largest economy in 2010 following the United States. 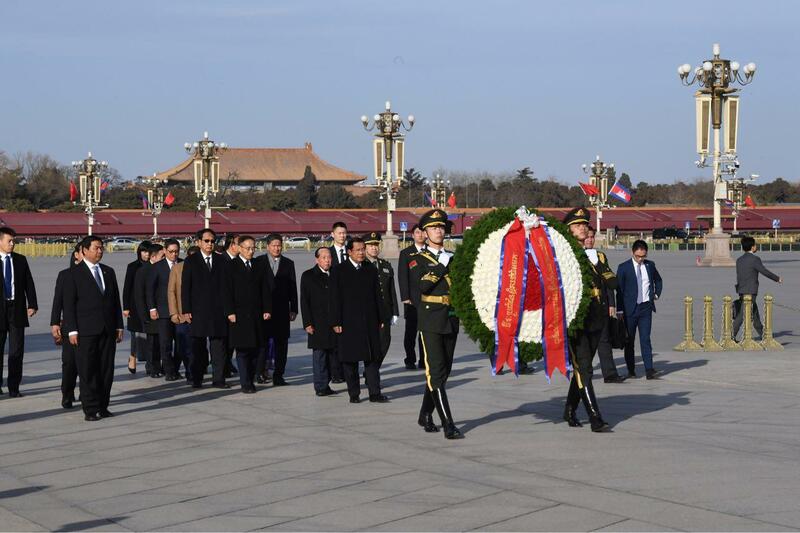 People's Republic of China and the Kingdom of Cambodia have established diplomatic relations on 19 July 1958. 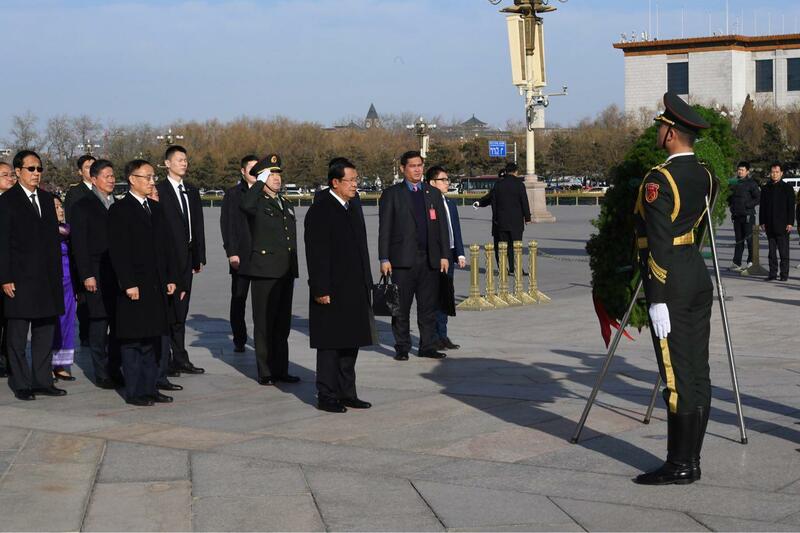 Cambodia-China bilateral cooperation was upgraded to a comprehensive strategic partnership on 13 December 2010.